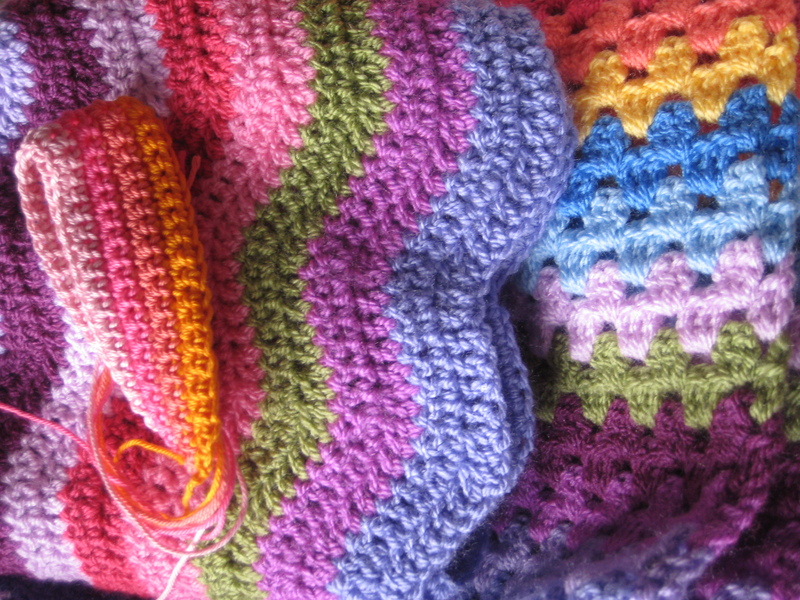 The Rainbow Granny Stripe is progressing in a very random fashion. It’s not at all challenging to make and so the ‘what next?’ element of choosing the colours keeps it interesting. Meanwhile I’ve planned the colours for the RR, but there’s no taping tufts of yarn to a card for me…that would be far too professional! 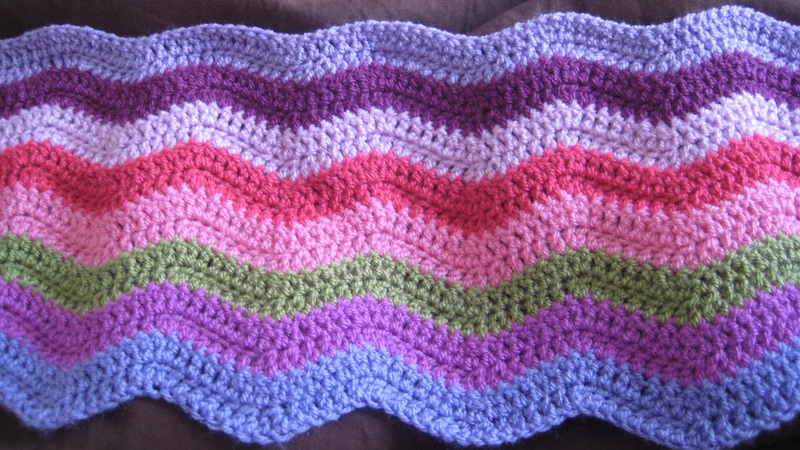 The blankets are for small girls who like pretty, that’s why they’re so bright. The next one will probably be more sutble. The little cotton strip on the top of the pile is for a jar cover. Sadly I’ve got another streamer of a cold and so am not feeling very dynamic today. It’s particularly a shame when you’ve had a busy week and have plans to do fun stuff at the weekend. I’ve instructed friends & family to hit me on the head with a large box of balm tissues if I crow about how many colds I used to have when I was younger and how much healthier I am these days….I’ve had two corkers of a cold since I said that last. What a wally. I feel so blah that I’ve just text downstairs to ask for another cup of Lady Grey and a pint of water…well I’m ill…. Get well soon, Rachel. 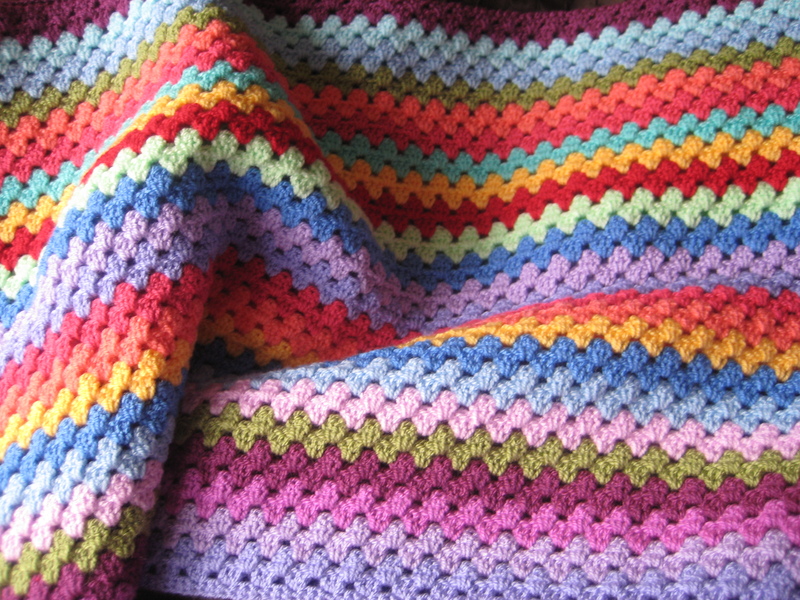 Some gentle crocheting is probably therapeutic for someone with a cold :) Both of the rainbow blankets look good. You’ve made me crave rhubarb crumble but rhubarb in garden not yet ready for harvesting! Wonderful colours! Can I email you? Lovely colours! 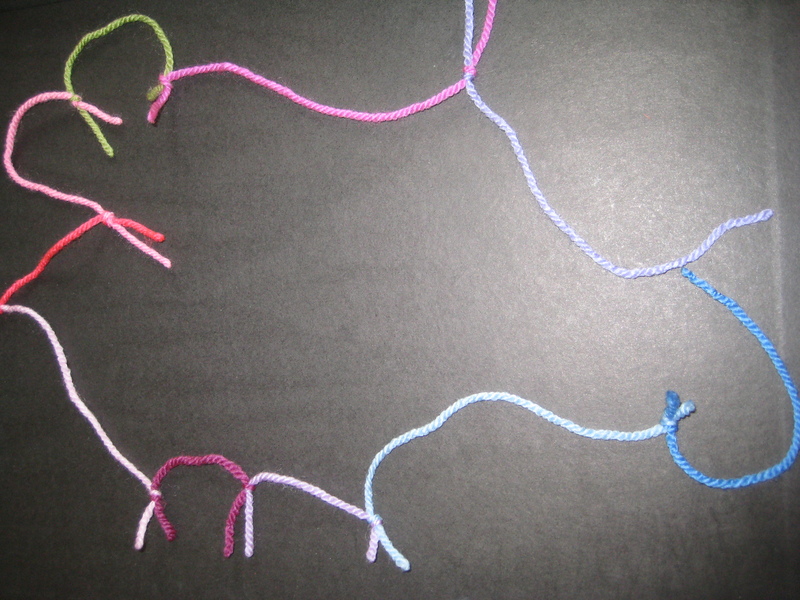 I like the way you organised your colour changes by tying them together, I’d never have thought of that! I reckon … after a wee bit of studying the pic … that you changed hook size when you moved onto pale pink. But if you hadn’t said you’d changed it I would never have guessed! It’s still very pretty and I’m sure it will go down a storm. Hi Rachel, your blankets are absolutely gorgeous. I love how you put the colors together. 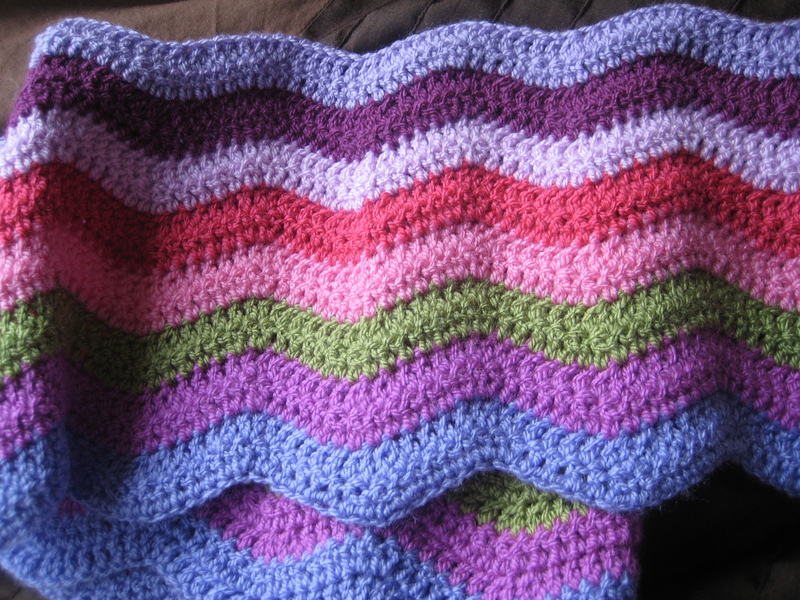 I have made some ripple small blankets before, but never a lap blanket. 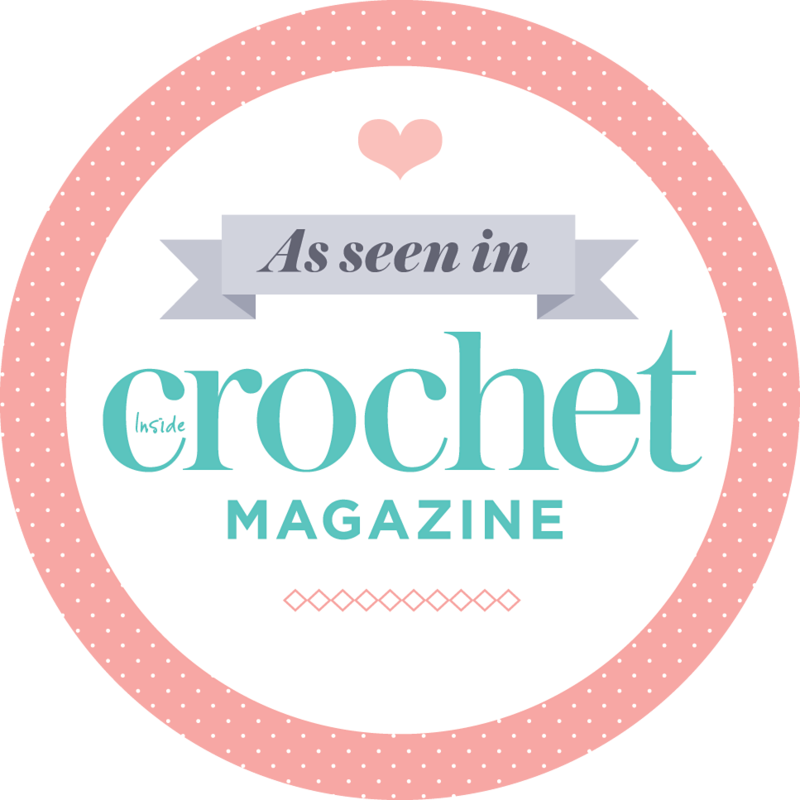 Would you mind telling me how many stitches you started with and how big your blanket is going to be with that amount of stitches….? I have just started blogging myself not long ago. It is Always so nice to read your blogs… I look forward to it. Thanks for the inspiration.